It is my pleasure to welcome you to the first newsletter of my presidency by wishing you a Happy New year and all the best for 2019. We have an exciting programme for the year which I hope you will all enjoy. Immediately after the AGM the first wine tasting of 2019 was held at the Abiss Restaurant in Calpe. As the newly elected President I welcomed the 47 members to the tasting. As is traditional, for this first meeting I presented my own selection of wines. A more detailed report on the tasting can be found on the web site under “Tastings – Recent Tastings” or by clicking on January Tasting. The cost of each wine and where it can be purchased and average score given by members is shown in the list of wines tasted in 2019, which can be found by clicking on “Wines tasted in 2019”. The next tasting which is on February 21st will be held at the Restaurant Amanecer, Jávea which is a new venue for the Society. Note this is a change in venue from that previously advertised. The Restaurant is located on the Cabo San Antonio road, as on the right hand side as you drive along the Cabo, Guests are very welcome. 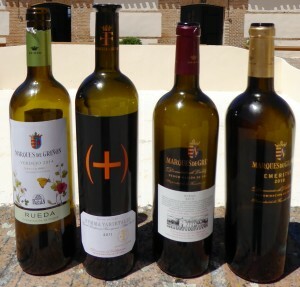 The wines to be tasted will be presented by Bodegas Fransisco Gomez one of the largest bodegas in the Communidad de Valencia. Please remember that the booking deadline is the FRIDAY before the tasting. If you have to cancel after the deadline you will still have to pay! Reservations and choice of main course please to: Penny Floodgate Tel: 965794996 or email: pennyfloodgate@gmail.com. Reservations must be received no later than the deadline 12.00 noon on Friday 15th February. Penny will always confirm receipt of your booking. If you have made a reservation and do not receive a confirmation from Penny you are not booked, so in that case please check with her. Looking forward to seeing you all on the 21st of February.